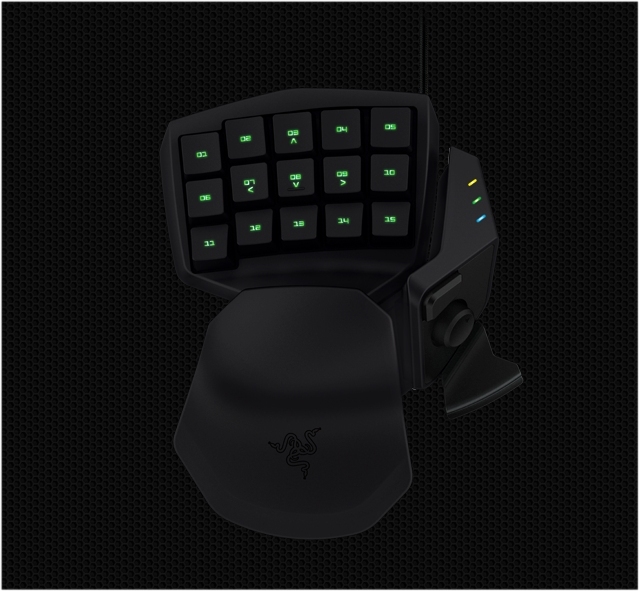 Razer has announced recently that their new Razer Tartarus has officially launched, aiming to rival Logitech's G13 Gameboard by providing a more ergonomic design and all the same functions of Logitech's multi-control beast but with a few extras tossed in for good measure. One of the things a lot of gamers want out of a control scheme is precision, accuracy and a comfortable fit. For now, the Xbox 360 (or Xbox One) controller seems to be the pinnacle of video game controller goodness... no, scratch that. Microsoft's console controllers are the pinnacle of video game controller greatness. 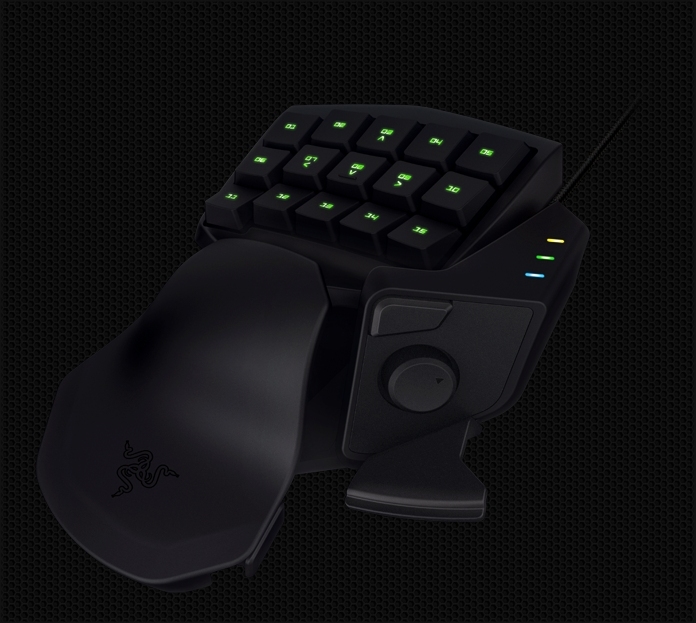 Razer wants to challenge the throne by allowing players to sort of mix and match their playstyle introducing the Razer Tartarus. It excels at pinpoint analog precision while also offering up easy-to-access keyboard style button controls for macro button combinations and accessibility. 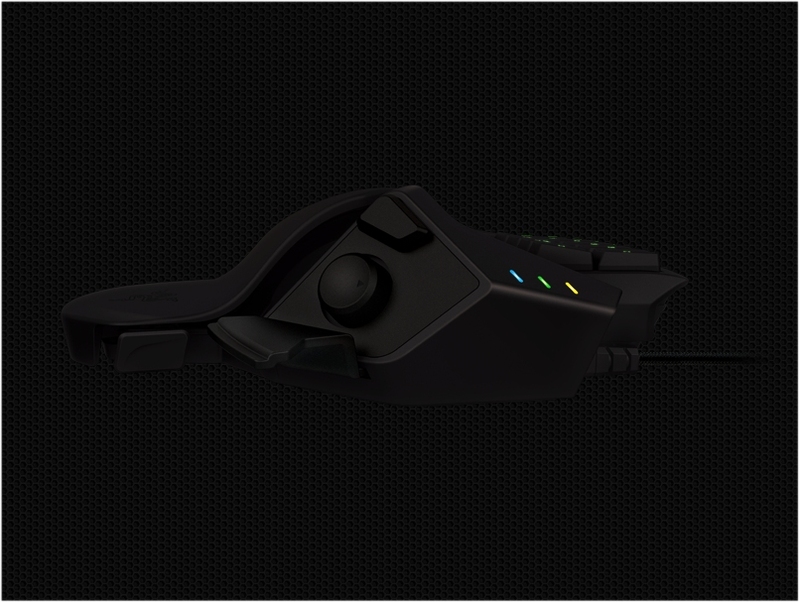 The mouse style palm grip is also a nice touch, and the ability to combine the control scheme with the use of an actual mouse makes it even more viable as the perfect controller companion. Heck, I can only imagine the kind of headshots and killstreak-embarrassing destruction that a player could employ combining something like the Tartarus and the Mad Catz Cyborg M.M.O 7 or the Genius Maurus X. Man, using a combination like that would make it look like your gaming setup came straight out of a cyberpunk movie. I honestly believe this game/keypad hybrid controller, used with the right macro setup and mouse combination, could literally spell a huge difference between victory and defeat. Trying to outgun players using this setup would be a real uphill challenge. The real sleek part about it is that the Tartarus has an unlimited macro profile functionality, so you can make up as many different macro combinations that you want. Need your heal spells on a button? No problem. Need your buff and a weapon switch on another combination? Easy peasy. How about a combination that brings up your armor window, strips you naked and has you dance in the town square like you mastered Carmen Electra's striptease videos like the dancing machine mofo that you are? Done... and done. The Razer Tartarus Membrane is available right now for any and everyone at a rather modest price of $79.99. I'm somewhat shocked that it's available for such an affordable price, but no sense in complaining, otherwise Razer might chuck on $10 or so. 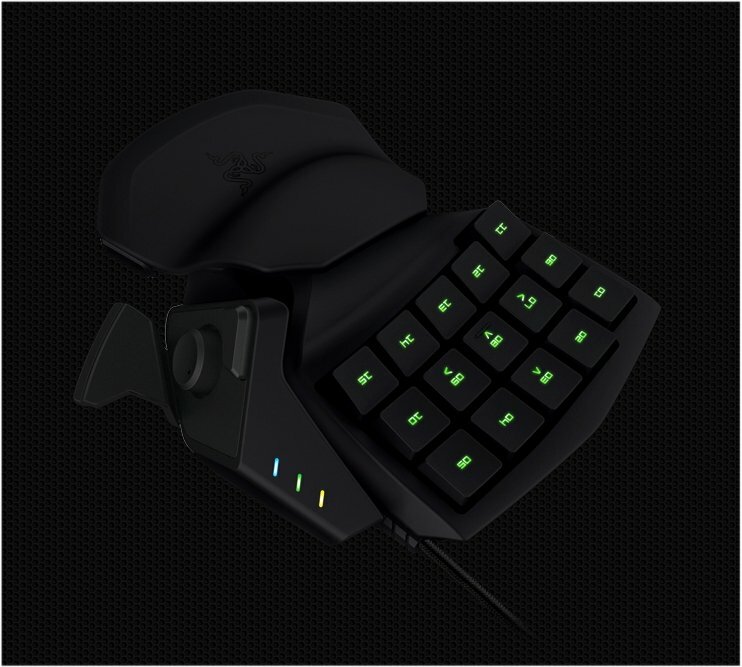 If you want to get your own Razer Tartarus you can head on over to the official website where you can also learn more about the new keypad gaming device.